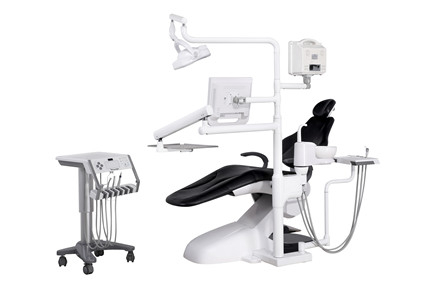 1)R9 dental chair, built for dental Implantation. 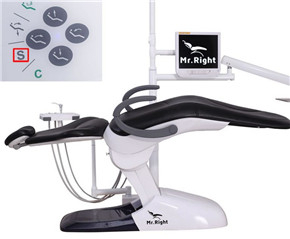 Clearly structured control panel for the chair functions, no side box design, more room for operation. 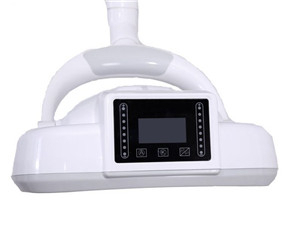 2)We do best to improve our products day by day. So sometimes the product photos displayed here may not catch up the speed of our improvement. If you find some inconsistency between the image and the actual product, the actual product shall govern. Our products are subject to improve without prior notice. 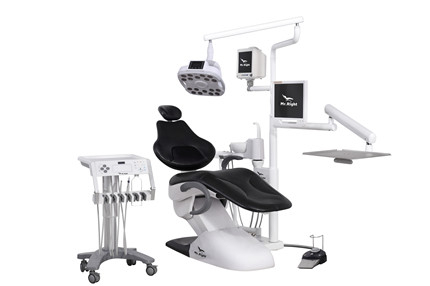 3)Now we have cooperative dental practices in different locations where you can check our dental chair in real before you make a purchase decision. Leave us your information below so we can arrange an appointment for you. Will get in touch with you with one business day. No unnecessary control buttons or complicated menus. The control panel shows only those functions that you need at any given time. 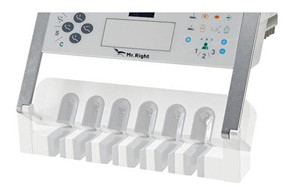 The symbols are self-explanatory and dedicated keys are assigned to the functions that you use most frequently. In other words, you can navigate at a single glance without having to interrupt your accustomed treatment routines. 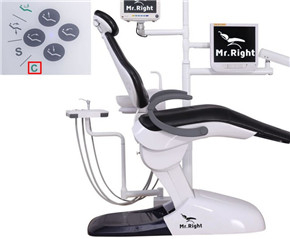 Press this key, move the patient chair to the position where patient can spit out easily , LED operating light is shut down, flushing function is opened. 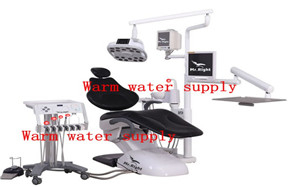 When touch again, the patient chair will back to previours working position, LED operating light is opened, flushing function is closed. 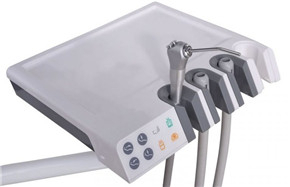 Touch this key,the patient chair moves up to the lowest position, the backrest moves to an upright position, easy for patient entry or exit the dental chair. 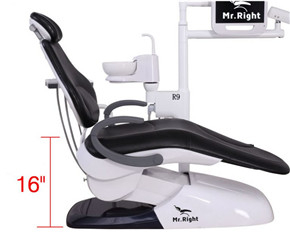 Press this key, the patient chair immediately moves up to highest position, and the backrest rotates backward to more then -5°. 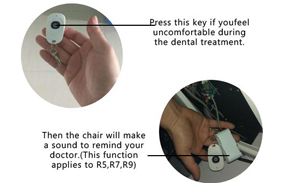 Touch this key, the patient chair immediately moves to a position suitable for cleaning. 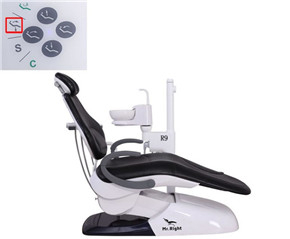 The patient chair moves up to the hightest position, the backrest moves to an upright position, the operating light is shut down, the flushing function is opened. 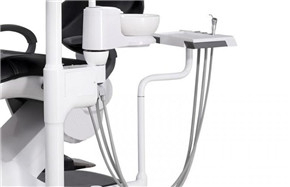 You can adjust the dentist element ‘s height from 30″ to 38″, and the element’s tray can bear the weight up to 55 lbs. 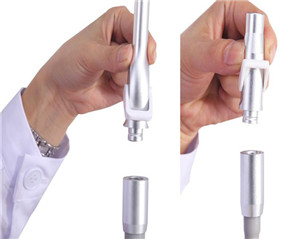 Easy to adjust the position to facilitate the doctor to take the instrument. 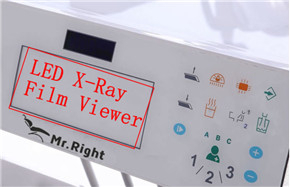 Get a clear view of your X-Ray Film. Time Reminder When you do a time-sensitive treatment, you can set a time to remind you, such as anesthesia,whitening,or curing treatment. 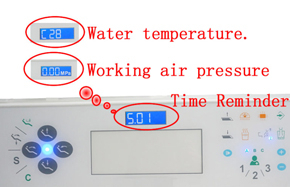 Display the treatment center’s working air pressure or water temperature. 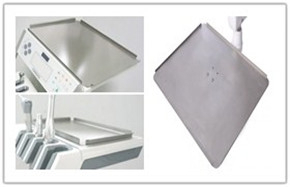 3 stainless steel instrument trays, put all the necessary instruments beside your hand. Space-saving element for maximum freedom of movement. 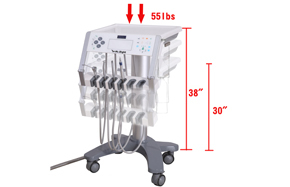 Ideal for treatment situations with an assistant. 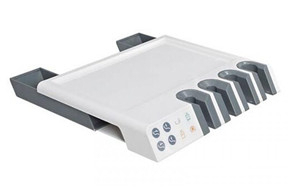 To ensure a streamlined workflow the assistant element is equipped with its own touch control panel and with a storage drawer. 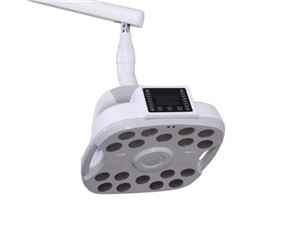 You can aslo control the dental light on/off using the control panel ,sensor control or foot control. Superb shadowless effect(at 700mm distance ,the test of the shadow is 0). 7 color temperatures to be chosen (4000K to 5500K). 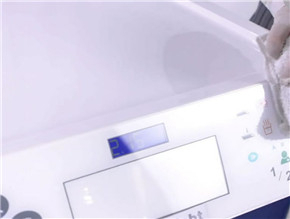 Integration of an intra-oral camera adds a new dimension to patient communication. 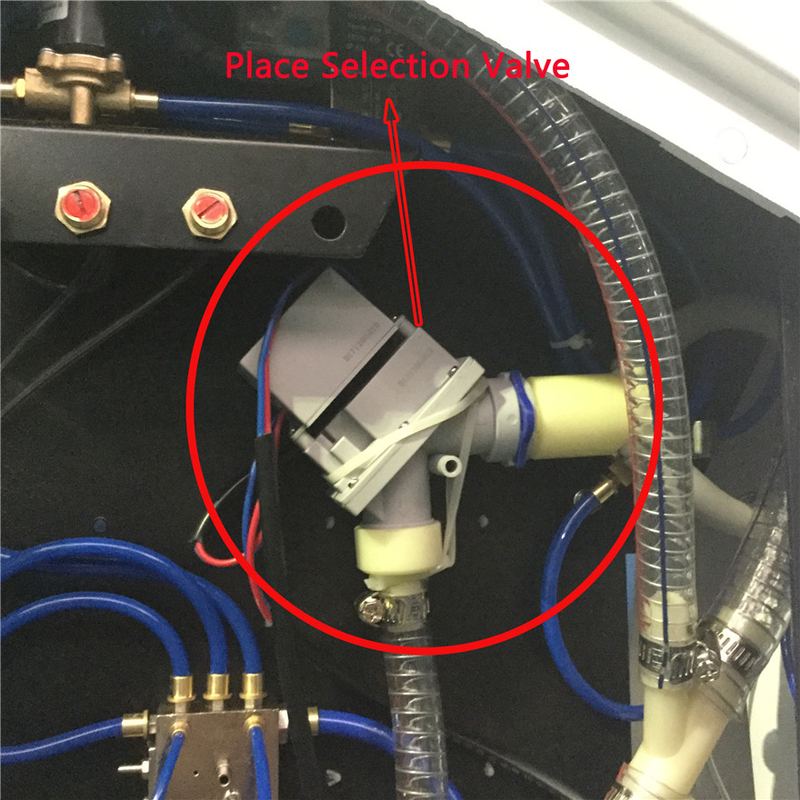 The system with a place selection valve is like a negative pressure switch. 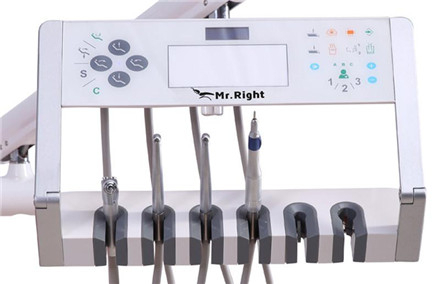 When the switch is turned on, the negative pressure will enter the machine. 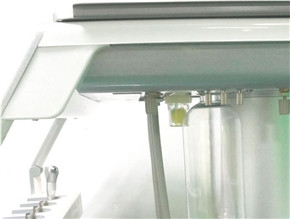 When the switch is closed, the negative pressure will not enter,so this design will reduce the workload of the central suction system.Thus, the work efficiency is improved. 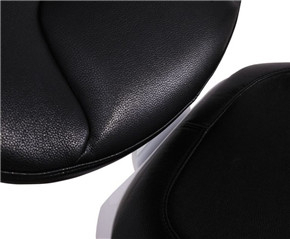 The comfortable microfiber leather upholstery provides exceptional patient comfort. The soft and dynamic design surface increases comfort, shows style and allows for a relaxed treatment atmosphere merely through its appearance and texture. 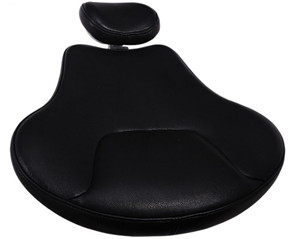 Thin backrest for ideal freedom of leg movement, flexible positioning of the foot control. 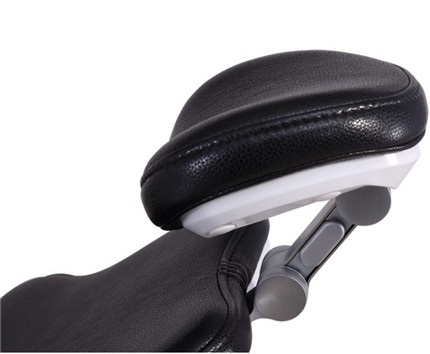 Your can sdjust the articulating headrest easily with one hand by depressing the Quick Release Button and situating the headrest in the desired position. Release the button to lock headrest into place. 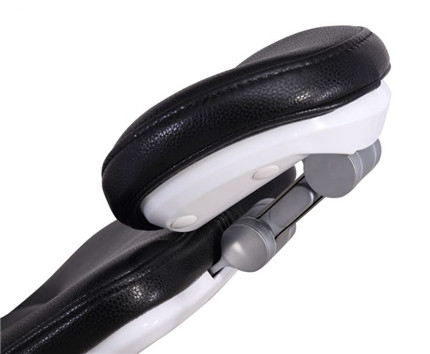 1.Quick adjustment: Only 9 seconds for backrest to move from the lowest position to the highest position. 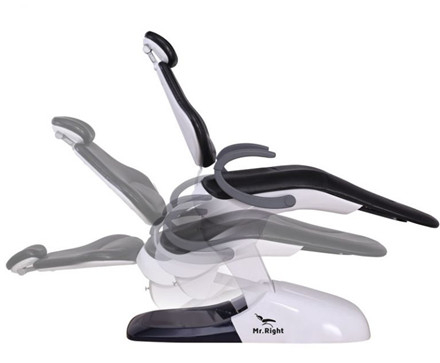 2.Synchronized movement of seat and backrest, which keeps the patient from having to readjust when the chair is lowered or raised. 1.There's nothing more embarrassing than when you feel discomfortable but you can't say a word about it. 2.Pree this key if you feel uncomfortable during the dental treatment. 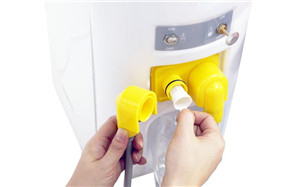 Warm water is avaible for all intrument hose as well as the tumbler filling. 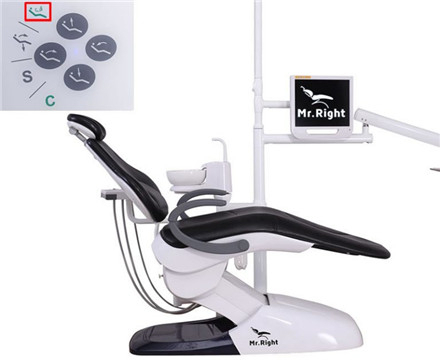 You can preset up to 9 desired chair positions in the dental chair, when you need any position, just press one key, the chair will move to it automatically. 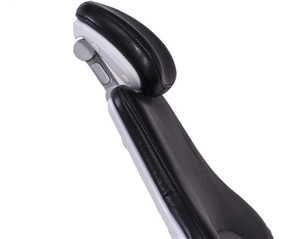 Right armrest can be swiveled aside. 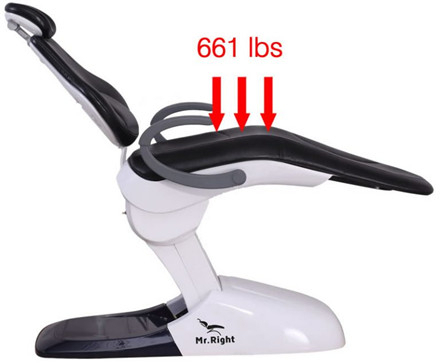 16″ lower minimum height make it easier for children and disableds to enter or exit the patient chair and enables positioning flexibility for practitioners of any stature. 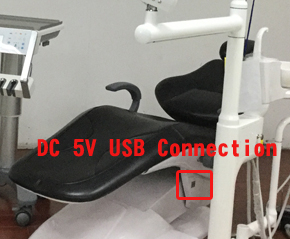 You can use this USB connection to charge your mobile phone or any other electronic device. 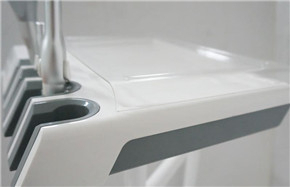 The chair functions can be activated handsfree: With the foot control that can be operated even more intuitively. 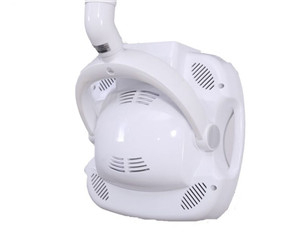 You can aslo control the operating light using the foot control. 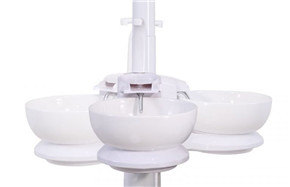 2.Automatically lock and unlock functions of the Spittoon: Based on the parallel direction of the seat cushion, the seat frame will automatically lock when the spittoon swings toward the seat cushion; and when the spittoon is parallel to the chair frame or swings in the other direction, the seat frame is automatically unlocked. You can switch to use the bottle water any time. 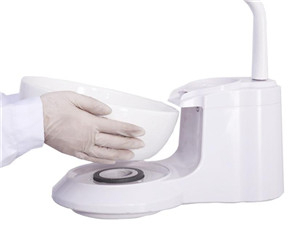 The smooth surfaces are easy to clean on a daily basis. 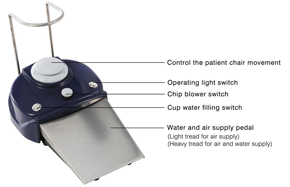 The hygiene-critical components can be detached for the purpose of cleaning/thermal disinfection and sterilization. The smooth surfaces are easy to clean on a daily basis. 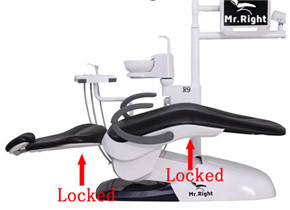 When one of the instruments is working, the position of the patient chair will be locked. 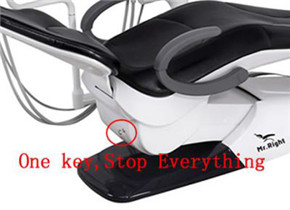 One key, stop everything: air, water and electricity supply, useful for any emergency and every day when you are off work, just push one key, everything closes. 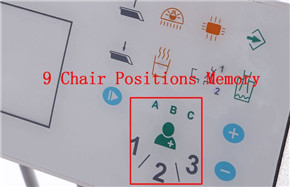 Patient chair stops downward movement when obstruction is detected. 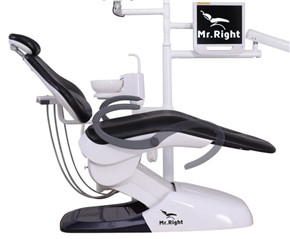 All the main components using inside Mr.Right dental chair are from world’s famous brand name, which insure Mr.Right dental chair super high quality, reliable for years. Taiwan low noise motor, gurantee for 5 years. 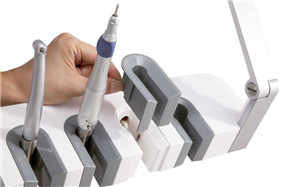 Germany Bayer silicone handpiece tubing. Hydrolysis resistance and ageing resistance PU pipes. 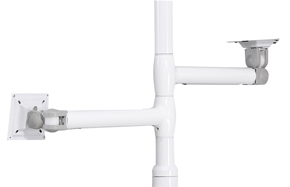 All frame compoinents get through special rust proofed treatment for long time usage，all the moving parts are connected by oil seal bearings for silence and stale chair movement. Weight capacity up to 661 Ibs (300 kg).